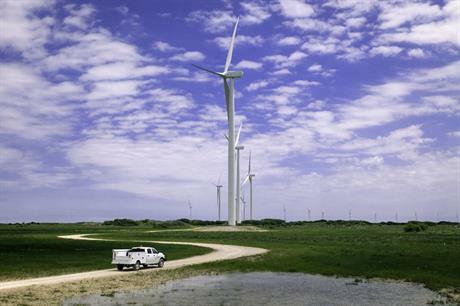 UNITED STATES: Nike has signed a second power purchase agreement (PPA) with Avangrid Renewables, this time for 86MW from a Texan wind farm, while conglomerate Unilever signs a renewables deal in Spain. The sports equipment giant will source the power from the 286MW Karankawa project in Bee and San Patricio counties in south Texas, near the Gulf of Mexico. Utility Austin Energy had previously signed a PPA with developer Avangrid for 200MW from the site, where construction work is due to start this autumn. The agreement means Nike will now source fully power its owned or operated facilities in North America with renewable energy, the company stated. Nike now also expects to power more than half of its global operations with renewable sources by 2025, it added. The company had previously signed a PPA with Avangrid for an unspecified portion of power from the 75MW Klondike II and 110.5MW Leaning Juniper wind farms on the Oregon side of the Columbia River Gorge, and from the 151.2MW Juniper Canyon on the Washington side. The electricity sourced powers its head office in Beaverton, Oregon as well as other Nike facilities in the US Pacific Northwest. "Investing in renewable energy is good for athletes, the planet and for business, and we will continue to drive collaboration to accelerate a low-carbon growth economy,"said Nike’s chief sustainability officer and vice president, Hannah Jones. When Karankawa is commissioned, Avangrid will own and operate more than 1GW of commercial wind power in Texas. It also owns the Baffin and Pensacal I and II projects, all of which have capacities of 202MW, and the 120MW Barton Chapel wind farm. The developer is finalising development work with Bee and San Patricio counties where Karankawa will be situated, before starting construction work this autumn, it said. Avangrid has not yet specified which turbines are to be used at the 286MW site. Meanwhile, the Spanish subsidiary of food, hygiene and home care product multinational Unilver will buy renewable energy from developer Acciona this year. The contract between the two companies covers 23GWh/year and will meet the electricity demand of all of Unilever España’s work centres in Spain. Neither party has specified which renewable source the electricity will come from or the duration of the deal. Acciona said it has previously signed power deals with more than 500 companies and institutions in Spain and Portugal, including telecommunications company Telefónica, Coca Cola European Partners, Spain’s national art museum Reina Sofía, and a number of hospitals around Madrid.